What’s he looking at? Hm! Wait, I guess he’s just parking! Haha! I badly want to bring back the era when these cars were everywhere! Now, whenever we see vintage cars, our jaws drop and our eyes pop… That wasn’t how things were before. This car must have been really remarkable for those people who grew up with Elvis Presley’s music. 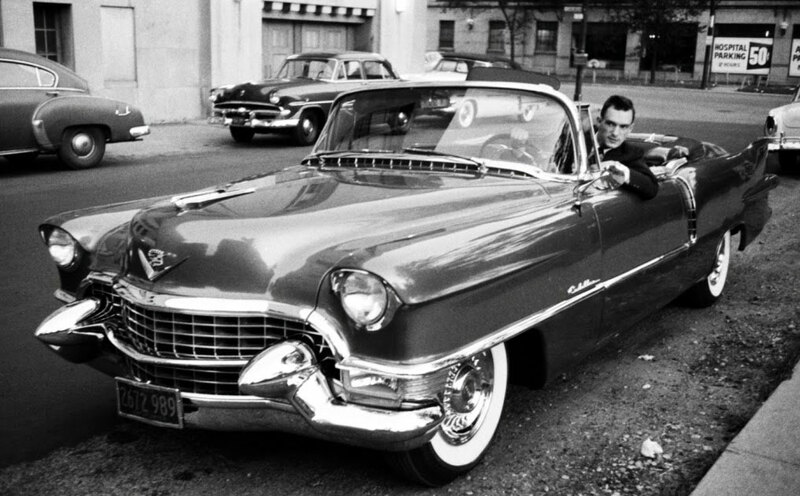 During his heyday, Elvis bought a 1955 Cadillac Series 62 Convertible and used it as the ultimate symbol of rock-n-roll. From then on, a lot of rock stars and celebrities have been mesmerized by this car and also bought their own Cadillac. How I wish I could see Elvis in his prime. During that time, I may look at the Cadillac Series as an ordinary car since it was then quite common. Unlike these days, it’s very a rare one on the road. If you really want to have a rare glimpse of a Cadillac, you must really attend a classic car event.